Welcome to Albertini, your number one source for custom Doors & Windows. Dedicated to giving you the Best! The Albertini brand symbolizes the evolution of taste, technology and lifestyle. A quality with 60 years of history which began as a small family workshop in the outskirts of Verona, Italy in 1954. Albertini is now recognized as an innovative global leader in the window and door industry. 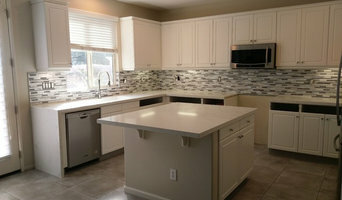 We are a professional Handyman company serving San Diego. We take pride in our top notch quality service in a variety of fields. Our clients are our top priority over anything else, and we strive to deliver affordable workmanship. Home repairs are an absolute stressful headache and can be complicated to solve. Big companies often deny small repairs leaving homeowners out of luck. That's why here at Downtown Handyman Service, we have been excelling in San Diego by removing the stress and making your homes those cozy, comfortable living spaces. Whether it is mounting a TV, or Repairing hardwood floors, we will exceed your expectations. We offer free quotes with honesty and transparency. Whenever your home needs some love, skip the stress and call Downtown Handyman Service. Orange County's Premier Sliding Door Repair and Installation Specialists. Our company repairs and sells new Sliding Glass Doors, Wardrobe/Closet Doors, Pocket Doors, Windows and Screens. We also Replace Broken or Fogged Mirror and Glass. Please feel free to contact us anytime we are always here and always ready to help. At Williams Painting & Handyman no job too big or too small. We strive to be your go-to guys for all your maintenance, repair, and improvement requirements, for both your home and business in Orange County. Whether you're looking for interior or exterior work or need a little of both, Williams Painting & Handyman is here to help you decide which changes and upgrades are right for you. We do quality work you can depend on. Professional service, experienced, dependable, on time and get the job done! Services include, drywall repair, electrical , screens, rescreen or build, fixtures, small hauling, specialize in plumbing, angle stops, water lines, water heaters, faucets, copper, pvc, abs, and all your general handyman needs! Insured! With great references. 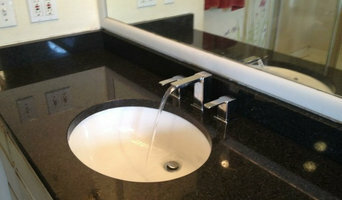 Are you looking for professional and reliable handyman services. I am here to handle your projects. 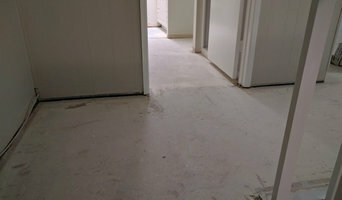 I can complete your home repairs and to do lists quickly and take pride in my attention to detail and quality work I have serviced homes and clients for many years. My experience allows me to troubleshoot and repair most issues with both residential and commercial properties. I look forward to the opportunity to serve your needs. The majority of my clients are repeat customers and referrals How I Will Save You Time: Looking for a Reliable and Dependable Handyman in Rancho Santa Fe, California? Schedule a Job, I Will Be On Time Every Time I am Here to Make Your Life Easier Do Not Worry – Let Me Handle Your To Do List Know Your Home Will Always Be In The Best Condition – Exactly How You Want It Turn Your Home Spaces Into Something You Really Enjoy Certified, Licensed and Insured. Thanks for considering me for your home maintenance and repair needs.